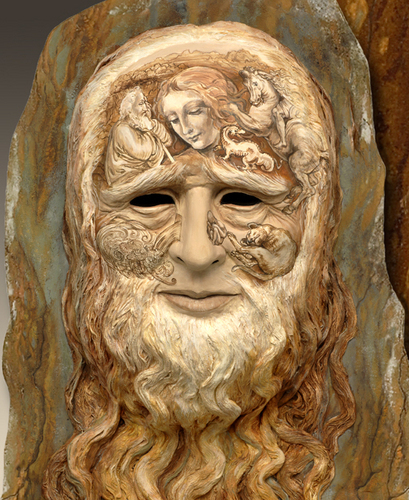 Mixed media sculpture on cedar wood, acrylic painting. Approx. Dimensions: 25" x 16" From the collection & book titled " On the Face of the Waters". Sweet water is a symbol of rejuvenation. As Nature constantly re-cycles this element, it produces fresh water that regenerates and sustains life. See website for more details. Mixed Media sculpture, acrylic painting, soapstone frog carving, cedar wood. Approx. Dimensions: 34" x 15" From the collection " On the Face of the Waters". Inspired by the myth of the Frog Goddess found in many cultures around the world, with particular emphasis on North West Pacific Coast Native traditions. 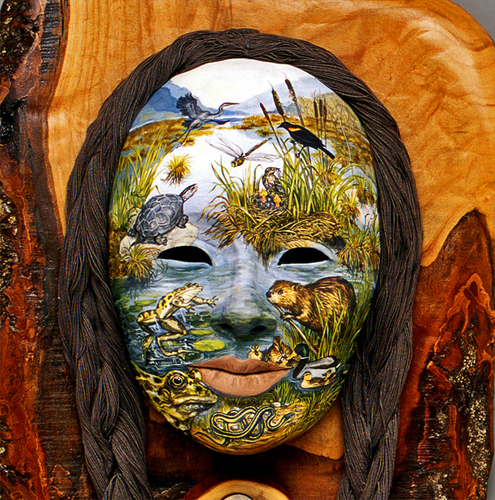 Frog Woman symbolizes the protective spirit of the Wetlands that are now endangered. See previous image for description. Mixed Media sculpture, acrylic painting, natural water-stained slate. Approx. Dimensions: 55"H x 14"W x 6" D. From the collection"On the Face of the Waters". Water Art was inspired by Leonardo da Vinci teachings about stimulating one's creativity by gazing at a moisture-stained wall. 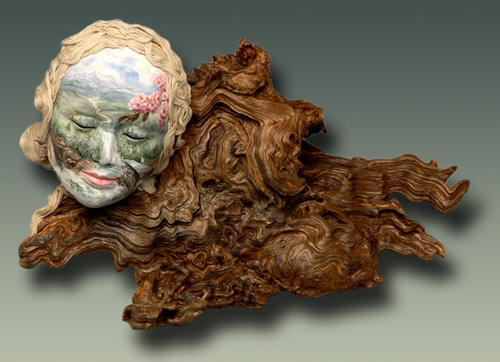 Mixed media sculpture, acrylic painting, cedar wood. Approx. 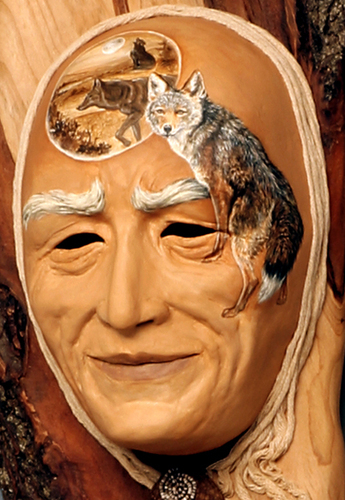 dimensions: 48" x 12" Coyote is part of the "Kindred Spirit Collection". It honours the spirit of this animal as a symbol of the Survivor.